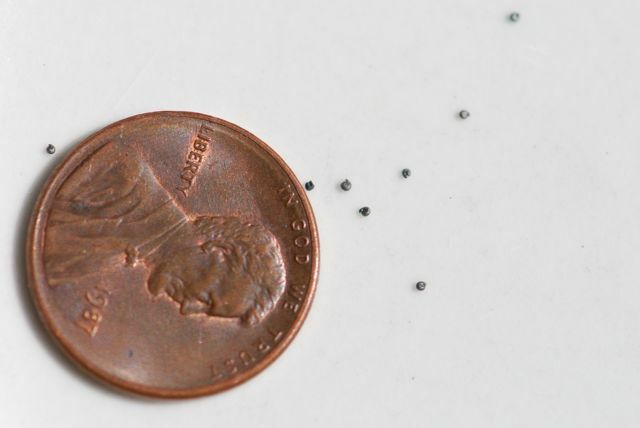 What were our teeny tiny mystery seeds from two weeks ago? Those are portulaca or moss rose seeds, Portulaca grandiflora. Moss rose flowers get their name from the fact they resemble old-fashioned roses. They come in a vibrant assortment of colors. The plants are also sometimes called moss-rose purslane, and other members of the genus Portulaca are also called purslane. 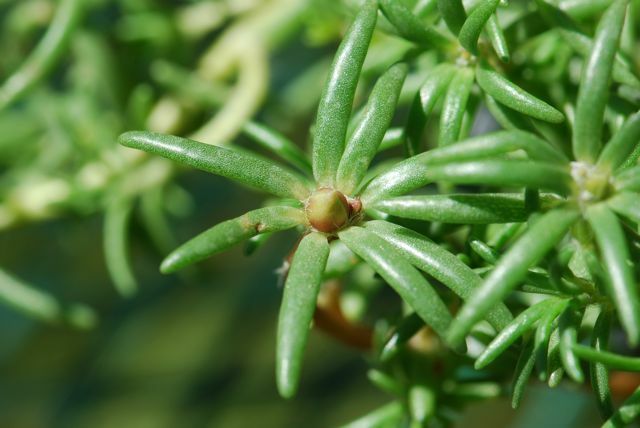 They have similar fleshy, succulent-looking leaves. Moss roses are originally from South America. Portulacas are small, hardy annuals that stand up well to dry conditions. The only problem we have with them is that the birds love to eat them. Have you ever grown portulacas? Hope they do better for you this time. Wow, I wish purslane would bloom like that.... do you know if purslane will flower at all? There are a number of different species of purslane. 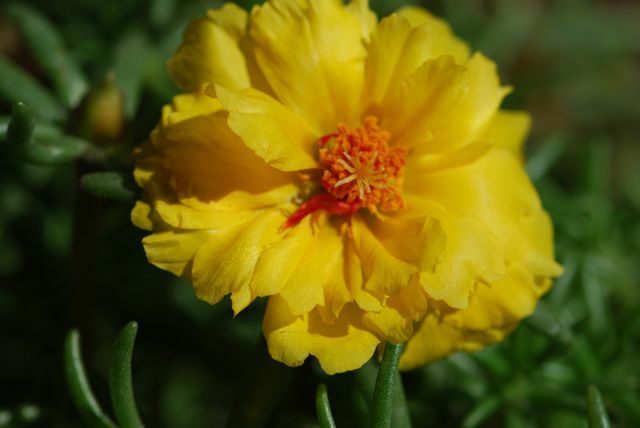 If you are talking about the common purslane, Portulaca oleracea, then it will have small yellow flowers. Plant nurseries around here are carrying some cultivated varieties with lovely flowers, especially for those interested in its edible properties. A related plant called common purslane or Portulaca oleracea, is considered to be edible. 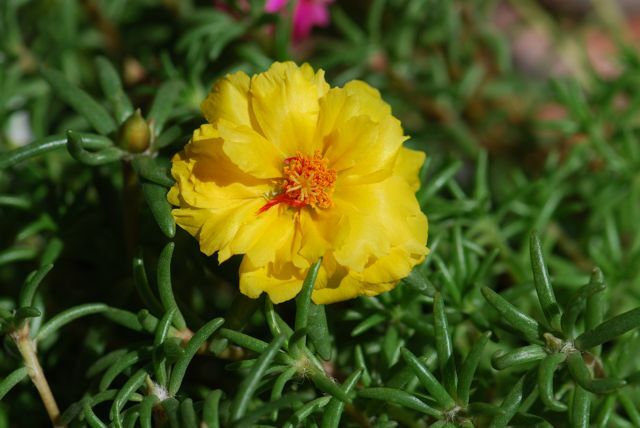 On the other hand, the moss rose, Portulaca grandiflora, is not edible.